What to serve for the BIG GAME?! Super Nachos! With the big game coming up, you’re going to need to feed a crowd. 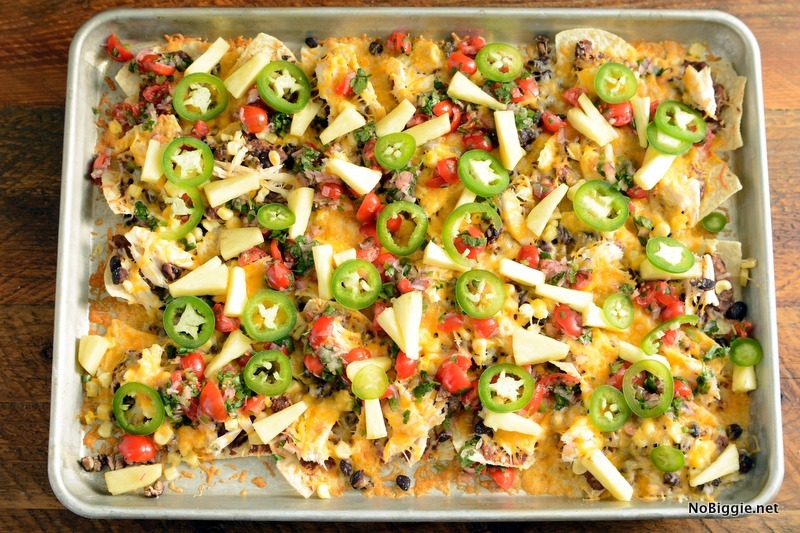 Super Nachos to the rescue! 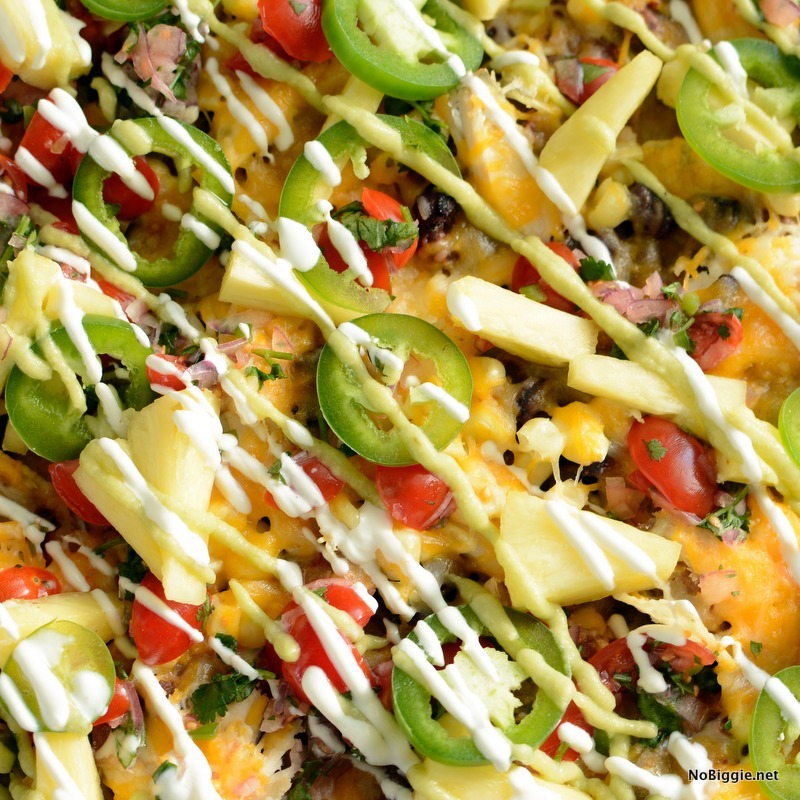 No seriously…these are not your ordinary nachos…they’re game changing nachos. With the freshness of the pico de gallo, fresh chunks of pineapple and jalapeño they’ll make your mouth happy. 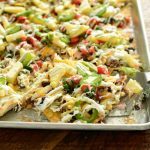 Finish them off with a big drizzle of guac and sour cream and these sheet pan super nachos will disappear fast. Few Notes: I love my ceramic mandolin for slicing onions super thin…just be so careful if using without the shield…it’s very sharp. Also these wilton squeeze bottles are perfect for the sour cream and guac drizzle. 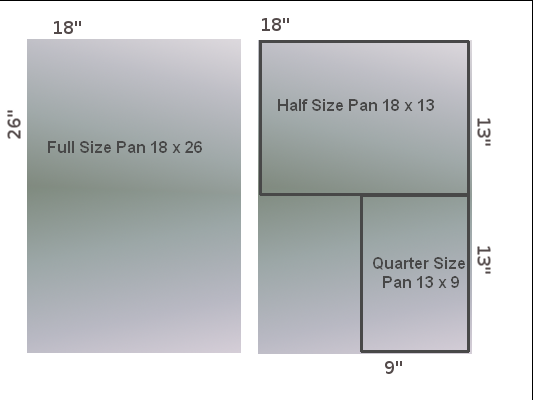 For the sheet pan size, we used the half pan sized sheet pan. It’s 13×18 inches. I love using shredded rotisserie chicken as a short cut, and it’s so good in this recipe. 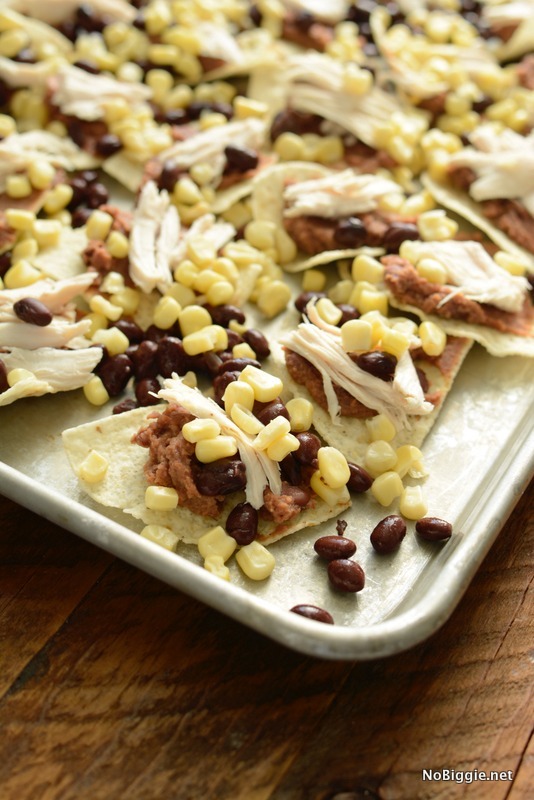 Topping each chip with beans and chicken is a great way to make sure each chip gets some of the good stuff. This is what they look like right before they’re smothered with cheese…glorious cheese. Just out of the oven…top with all the fresh stuff: pico de gallo, pineapple chunks and sliced jalapeño. We made a fun video to show you how to make them! Over the top nachos! Perfect Game Day food. The sweetness of the pineapple adds so much to all the flavors. 1 can refried black beans 15oz. In a glass bowl toss together the quartered cherry tomatoes, finely diced red onion, chopped cilantro, the juice of half of one lime and a few big pinches of salt to taste. Set aside. To thin the sour cream for the sour cream drizzle: Mix milk with sour cream until thinned and transfer to a small squeeze bottle. Set aside. To make the guacamole drizzle: in a glass bowl add fresh avocado chunks, green salsa, fresh lime juice and a few big pinches of salt. Mix and mash with a wire whisk. Transfer to a metal strainer and push the guacamole sauce through the stainer to make smooth. Transfer sauce to a squeeze bottle. Cut the tip of the squeeze bottle off to make the opening a little wider for the sauce to pass through.Set aside. Cut the pineapple into chunks, place in a glass bowl and set aside. Lightly grease the sheet pan. 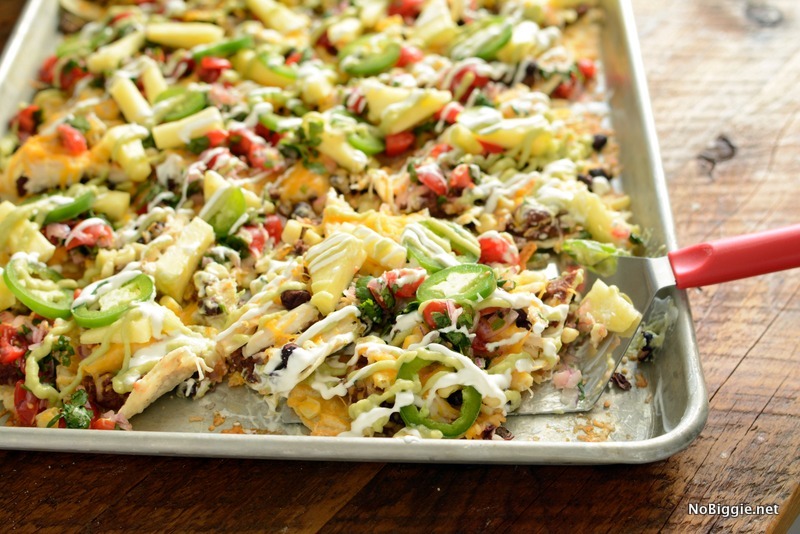 Fill the sheet pan with 30+ tortilla chips. 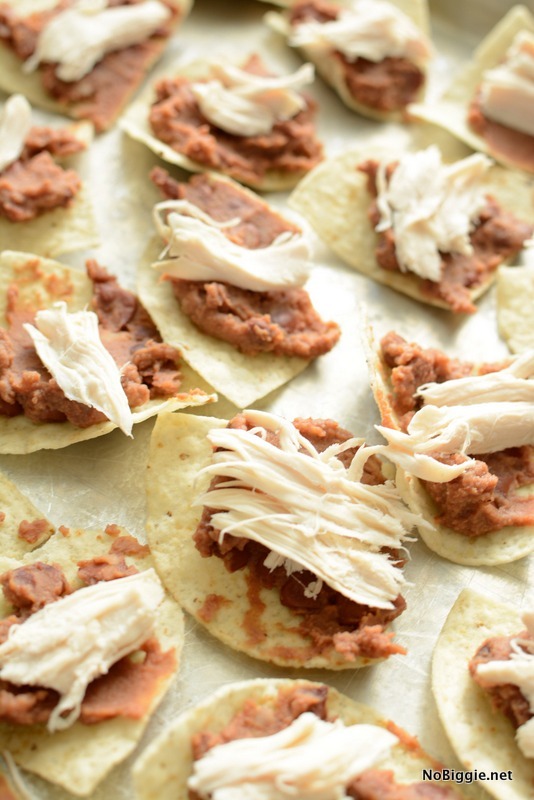 Spread a spoonful of refried beans and add a small amount of shredded rotisserie chicken onto each chip. Sprinkle the black beans and sweet corn all over the chips. Add handfuls of shredded cheese to cover all the chips. Bake for 20 minutes until the cheese is melted and bubbly. Remove from the oven and top with the fresh pico de gallo, jalapeño slices and pineapple chunks. Finish with a drizzle of the guacamole and sour cream sauces. Enjoy! What do you call cheese that’s not yours? NACHO CHEESE! …I’m sorry…I had to. Have a great day! I’m not gonna lie…these were amazing! By far the best nachos I’ve ever had. Can’t wait for the big game to have them again!